Before you can begin to banish your blemishes, you need to understand what type of blemishes you have. From the type of blemish to the cause of the breakout, different types mean different solutions. Some breakouts can be treated simply with lifestyle changes. Others require that you find a skincare regime or consult a dermatologist for advice. What’s the right answer for you? Explore the five different types of breakout below and then determine the right treatment path for you. Whiteheads are the most under-treated form of blemish because people often don’t even realise they have them. However, any type of clogged pore is technically a form of blemish. Spots form when over-produced sebum (oil) and skin cells clog pores. In many cases this leads to a build-up of blemish-causing bacteria, but even without the bacteria, a clogged pore is never good for your complexion. Best Treatment Solution: Use a blemish treatment with Salicylic Acid to penetrate beneath the skin’s surface oil to unclog pores. For mild whiteheads, a clarifying facial cleanser that includes Salicylic Acid is likely enough to keep skin clear. 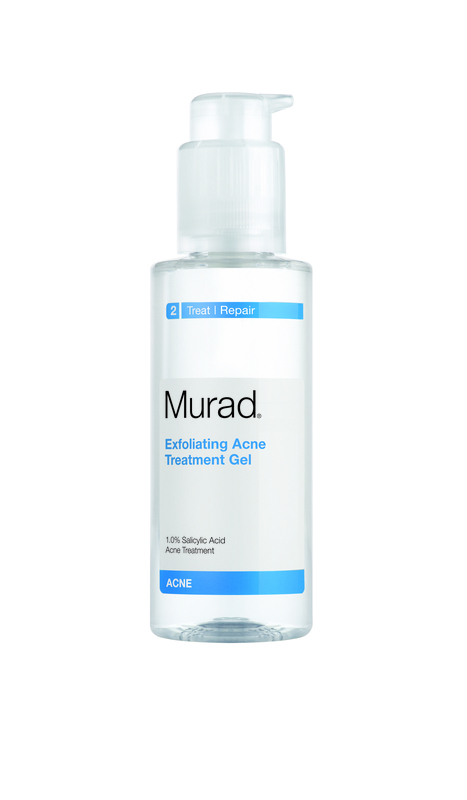 Murad Time Release Blemish Cleanser is a refreshing daily cleanser with encapsulated Salicylic Acid that continues to release pore clearing medication even after you cleanse. Blackheads are one step up from whiteheads. The cause of the blemish is the same – dirt, oil and debris has clogged a pore – but the difference with a blackhead is that the clog is not covered by a layer of skin and is therefore exposed to the environment. When this happens, the oxygen interacts with the clog and the colour turns from white (or clear) to dark. You haven’t necessarily formed a “pimple”, but your clogged pore is dark and visible so you’ll want to get rid of it! Best Treatment Solution: Look for products that contain Glycolic and Salicylic Acids to exfoliate away dead skin cells and clear blocked pores. Do not squeeze your blackheads; it will only make the problem worse! 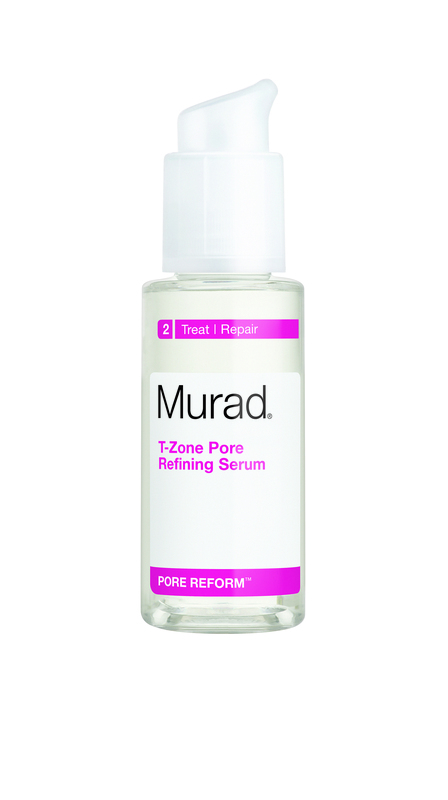 Dissolve clogged pores while balancing oily and dry zones for a blackhead-free complexion. A papule is the first stage of an inflamed blemish; a small, raised red bump. Yes, it is a pimple, but what it doesn’t have that makes it different from the next level of blemish is that it’s not filled with pus. If you have red pimples that are irritated and visible but not full of liquid or pus, then you have papules. Best Treatment Solution: Don’t squeeze! If you have on-going papules, you’ll want to adopt a daily regimen that includes Salicylic Acid to prevent future breakouts. However, for occasional papules, consider using a spot treatment to dry the minor and occasional blemishes out so that they flake away and are replaced by unmarked skin. Provides on-the-spot treatment anytime you feel a pimple developing. Sulphur helps control the blemish while Liquorice Extract reduces redness and inflammation. These are the bad boys that nobody wants. Your classic spot that’s full of pus or fluid and appears with a hardened yellow or white centre. This is your body fighting back against the spot-causing bacteria that caused the infected and inflamed blemish. In addition to being unpleasant to look at, this type of spot can also be physically and emotionally painful. Best Treatment Solution: You’ll need to step backwards and have a think about what the cause of your spots could be. In addition to making sure that you’re minimising stress and eating healthily, adopt a full anti-blemish regime based on a Salicylic Acid treatment. Stay away from solutions that are designed to “dry out” your spots. If you have on-going pustules, you’ll only damage your skin further by drying it out and most likely increase your chances of blemish scars or post-spot marks. Prepare for a blemish purge as you begin your comprehensive blemish treatment regime, but remember that you can only get clear skin once all of the impurities beneath have been purged away. Unclog pores beneath the skin before blackheads, whiteheads or even inflamed blemishes form. This powerful blemish treatment gel uses Salicylic Acid to slough away dirt, debris and dead skin before pores become clogged. When the follicle wall that is holding in the pore clogging materials and spot-causing bacteria ruptures, the entire fluid and debris leak into the skin. The body’s natural response to this is to fight back in the form of an inflammation. When the inflammation is hard and solid, making a powerful and large red bump near the surface, you have a nodule. When the inflammation is fluid and has a sack of pus or liquid beneath the skin, it’s a cyst. Either way, it’s a painful skin condition. Best Treatment Solution: It’s time to visit a dermatologist. Even though a topical regime can minimise and reduce this type of blemish over time, you should seek the help of a medical professional to help identify the causes and be sure that you’re approaching treatment properly. Of course, your blemish may also be caused by a Rosacea condition, by a reaction to skin care products or makeup or environmental and emotional factors. It’s also possible that a diet rich in refined carbohydrates is leading to breakouts. No matter what type of blemishes you have, it’s best to take a look at all of the possible causes and then determine what treatment solution to use. This entry was posted in Acne and Spots and tagged Acne, Blackheads, Blemishes, Cysts, diagnosing breakouts, nodules, papules, Pustules, Spots, Whiteheads by muraduk. Bookmark the permalink.